Gamification Player Types: Meet the players! 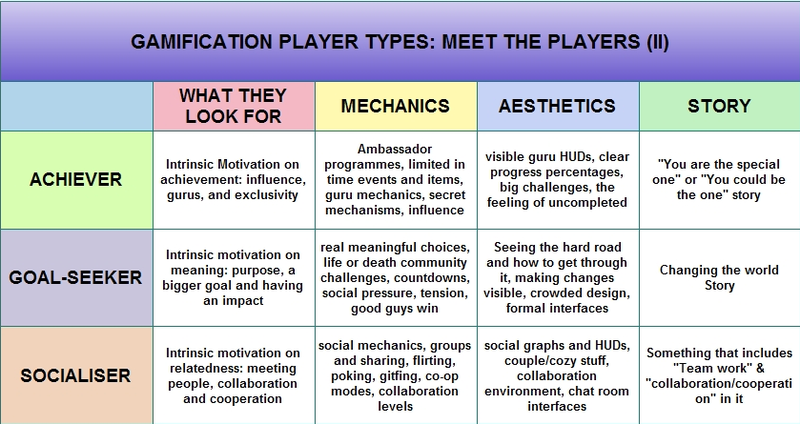 This is the "Meet the Players" part of the Gamification Player Types series that started with the Time - Engagement Pyramid. We began with 7 different types of players that we can encounter when designing a gamified experience, and now it is about time to meet the players! If you missed out the other two parts and how it all started, check this out! Just another thing, in order to describe the players, i´m going to use a bit of Jesse Schell´s materials and game lenses coming from his epic book "The Art of Game Design". First of all, in the base of the pyramid, and with a small amount of time spent on our gamified system and a starting engagment ratio, we find the Enjoyer. Say hi to our new friend! 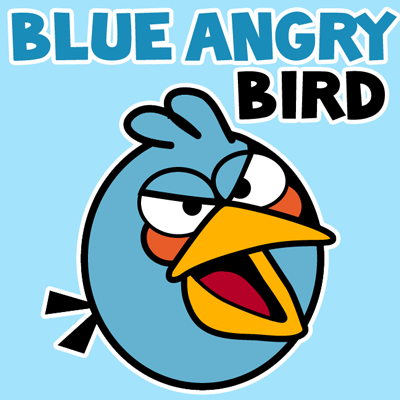 The blue angry bird! Enjoyers are going to be reprensented by the blue angry bird, since Angry Birds is the kind of game that we should study and understand to design a great gamified system for enjoyers and turn them into more engaged players. Why Angry Birds? Because it is the type of game that we play, shoot some birds, get some fun, and stop playing for a while, and it is also the masterpiece of turning enjoyers (that we all are when we start) into more advanced players. What is an Enjoyer and what are they looking for? Enjoyers are the kind of people that just discovered our gamified platform or they use it with a low activity rate. But hey! At least they use/know it or just discovered it, so it´s not that bad! We are on the right track! This kind of players are looking for positive emotions and quick pleasure (check this out if you are 100% lost at this point! http://www.epicwinblog.net/2013/04/gamification-player-types-t-e-pyramid-ii.html). Enjoyers love amusement, joy, surprises, exploring through curiosity, mistery, hope, pride, inspiration, awe, etc, even when they dont realise, they are looking for "quick happiness", so, how can we make them happy and motivated? - Mechanics: Enjoyers like things such as clear and simple tutorials that teach them how to play, quick success and prizes, having begginner´s luck and great chances of winning, unexpected gifts, limited info that makes them curious and short engagement loops. - Aesthetics: Since enjoyers just discovered our site or dont really use it that much, they usually like juicy and fresh interfaces that display limited and easy options, shocking notifications that catch their attention and interest and things like shadowed symbols and a mix of mistery and curiosity, all enabled by the graphics. - Story: The fact that we are creating gamified systems doesn´t mean stories are not neccesary. 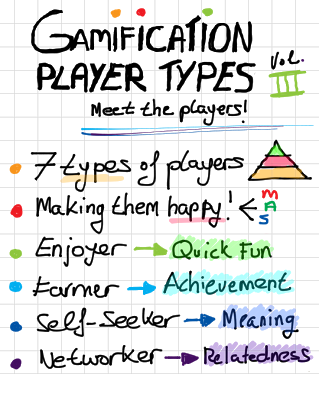 Gamification is more than PBLs. Stories for enjoyers should be what i call "Iceberg Stories". A great but limited beginning that only shows a bit of what might happen in the gamified system, but that allows the player to see a "big future" coming. Meet our second player type! The Farmer! 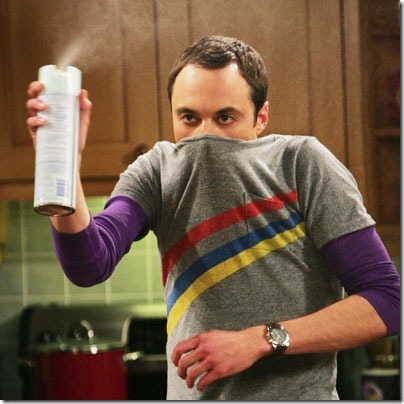 Coming directly from Farmville and an expert in exploting systems of all type to get the best from them! What is a Farmer and what are they looking for? 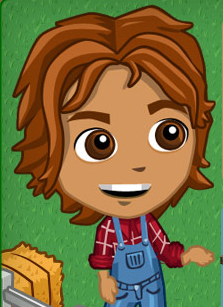 The farmer is the kind of player that loves getting achievements, badges, rewards and prizes. Usually, they are a bit more experienced players than the enjoyers, and know perfectly how to play. In addition, many of them have developed a "secret technique" for "gaming the game" and getting more for less. It is a character close to positive cheaters and their main motivation is getting stuff and completing the game. Usually, this kind of player will fully understand our gamified system becoming an expert and trying to get the most out of it, always in extrinsic terms. Gamification platforms that are based on PBLs will suffer from this kind of "hungry" players that will exploit in good or bad ways our rewards system. - Mechanics: farmers would love things such as badges, trophies, prizes, achievements, unlocking items or stuff, quests and challenges, events where to get stuff, virtual economies and virtual goods, vanity and scarcity, collection sets, progress bars, leaderboards, etc. - Aesthetics: farmers will like user interfaces with a lot of HUDs (heads-up display) or information that is shown to the player with a great focus in achievements, progress, levels to go, and items collected, that prove them as a better player than others because of their achievements. - Story: The story for farmers should really focus on progress and achievement, an epic goal that we should reach playing, a "why are we using this gamified system" reason and a lot of side quests to achieve, that will motivate them to keep on going. Say hi to the Self-seeker! An influencer that loves extrinsic rewards to develop himself in the system! What is a Self-seeker and what are they looking for? Self-seeker is a term coming from Andrzej´s Blog on his user types (you can check it out here: http://marczewski.me.uk/user-types/) and this character is really similar to what Andrzej says in his blog. It is the kind of player that is driven by extrinsic meaning, trying to achieve influence in the platform and to show off his accomplishments. 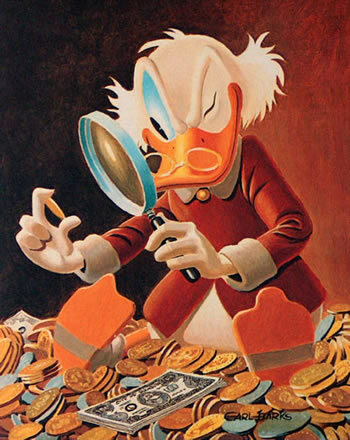 Scrooge Mcducks (as self-seekers) will try to achieve all trophies and status items, be the best in ranks and take advantage of other players to keep on ranking. They´ll do whatever it takes to gain something for themselves. They are a bit like the farmers but more oriented to influence others and gain acceptance within the system. As it happened with the achiever, they are both positive and negative for a gamified system and the balance will be put in the platform by adding intrinsic motivated players. - Aesthetics: in a gamified system where self-seekers are likely to appear, our aesthetics should have some kind of vanity interfaces and this type of HUD´s, status recognition and collective symbols, ranking graphics available to everybody or a changing world and different player interfaces that will vary with the elitism grade. 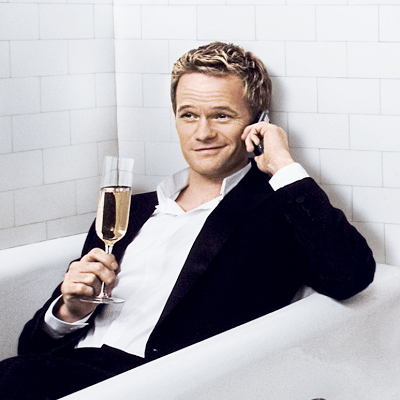 Meet the networker! A social animal ready to extend his network and get some benefits out of it! What is a Networker and what are they looking for? 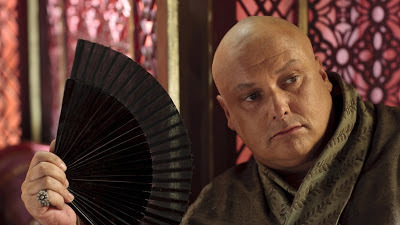 The networker is the last of the extrinsic motivated players, and i really felt like putting Varys, from GoT here since he fits perfectly for this role (the spider has its contacts). It is a player that is network-oriented, and will strive to get new contacts, extend his job colleagues and seek for new opportunities in whichever areas he might be interested. For the networker, the extrinsic reward is just getting new contacts, adding reputation to their names, gettingprivileges in platforms that they can use later on and so forth. - Story: The story should be social-oriented here, something that encourages the social part of the gamified system, like a story about a team, that defeats the evil army (just a simple example). The main point here is to focus on the community/team factor. So, is that all? Well, no!!! We still have to talk about intrinsic players! Meet the players intrinsic players! So we reached the fourth and final part of the Gamification Player Types series that started with the Time - Engagement Pyramid. We began with 7 different types of players that we identify when designing a gamified experience, and after meeting the extrinsic players, now it is about time to meet the intrinsic players! 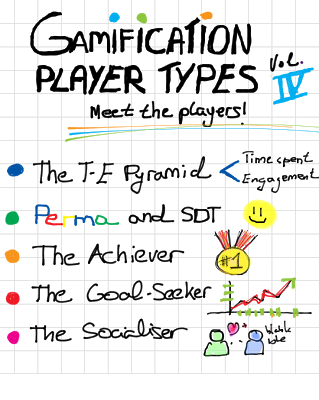 We have 7 players, 3 types of fun, and a clear relation between the types of fun and player´s time spent + engagement. Up until we have described the Fun 1.0 and Fun 2.0 players, but, what about Fun 3.0 players? Let´s go! When talking about intrinsic fun we are embracing the extended Self-Determination Theory which means: autonomy, mastery, purpose and relatedness ("Drive" by Daniel H. Pink + Deci and Ryan). removing autonomy due to the reasons that were given in former posts. Also, engagement and time spent will be our final result. So, to sum up, when talking about intrinsically motivated players, we find the achiever (achievement), the Goal-seeker (meaning) and the socialiser (relatedness). Ever wondered why his name is equal to success? He gets what he wants (almost) and nothing can stop him! Suit up with me and meet Barney Stinson! What is an Achiever and what are they looking for? 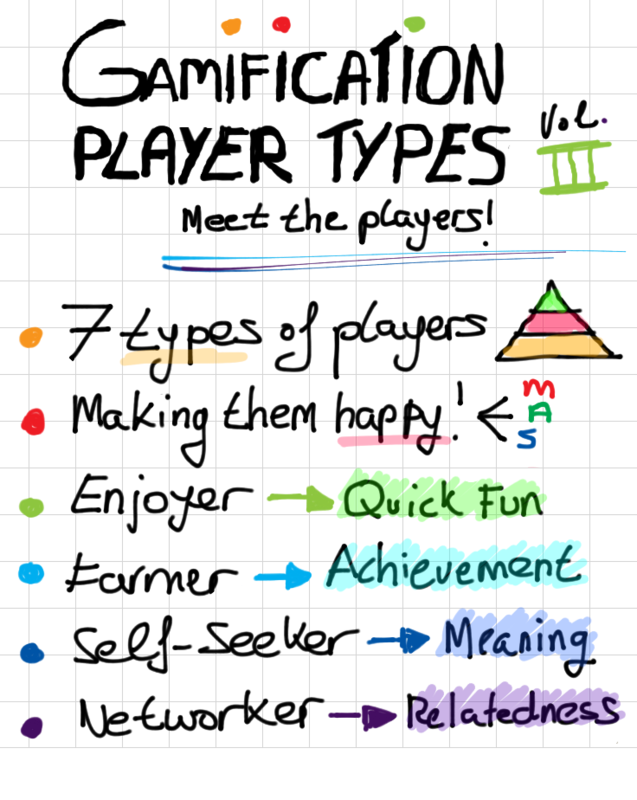 The achiever is the kind of player that wants to complete every single quest, achievement or level of your game. They crave for mastery and competence and their final goal is to become your game´s guru, an expert that knows your game as if he designed it. Their main drive is intrinsic achievement, or put in other words, being the best of something or at least trying to.Also, it is the normal evolution of a farmer if our system is well designed, and many of the things that we said about the farmer, can be applied to the achiever, such as: in example, the likely case of cheating or the fact that they are even keener on paying. They are also amazing feedback givers since they know what your gamified system needs and lacks of. It has to be remarked that will really help making your platform go viral and bringing new people in, if motivational systems are enough. - Story: The story should include the "You-could-be-the one" (or you actually are, the special one) narrative path. Tell them that valhalla is awaiting and how good it is trying to reach it. He spent his whole life looking for a reason, a meaning, something that felt like home. 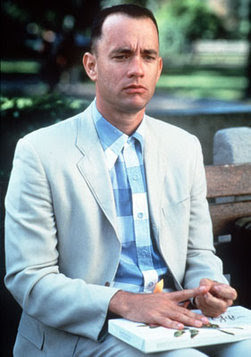 It takes a whole journey around the world´s history to meet Forrest Gump! What is a Goal-seeker and what are they looking for? The Goal-seeker is a very important player in every gamified system. They usually are the evolution of a self-seeker that is finally more intrinsically motivated and focused not only on themselves but on something bigger. It is this way because Goal-seekers represent that part of us that want to be part of something bigger than ourselves.Human beings crave for meaning and purpose, a kind of utopia that we will never reach, but it is worth trying, because the path itself is awesome. When designing a gamification platform, we should really try to create a small (and then big) community of goal-seekers, by giving them a reason, a way to change the world and be relevant in our lives, finding our way. Goal-seekers are inspired by meaning and will like our gamified site to really have an impact outside there, and usually a positive one. Even though is difficult, if we manage to have this kind of players, our gamified system will reach the next level, it will be a system that players use because it makes them feel there is a big purpose to achieve through it and where every action has a meaning. - Story: The story needs to be oriented to changing the world with our gamified system, and how it clearly helps to achieve this. Friendly, kind to everyone, a great and charismatic leader, the perfect flatmate and one of those guys that would not be able to count his friends even if he tried really hard, meet... Sheldon Coo..per... WAIT A MINUTE!! Something is really wrong here!! What is a Socialiser and what are they looking for? Our last intrinsically motivated player and the last of the 7 ones, is the socialiser. It is a pretty similar version of what Richard Bartle said about this type of player in his "User types theory". Socialisers are relatedness motivated players that look for new relationships and friends. The are the evolution of the networker but seeing new people as a personal thing, and not as a reward or an opportunity of business. The more people they meet, the better! It has to be said, that socialisers might not be that keen on spending money on our gamified system, but they will be a great resource of buzz, always sharing and promoting our platform in any kind of social place. - Story: This is the most variable kind of stories but at least, there should be a clear "Team Work" or "collaboration/cooperation" element within the main story. 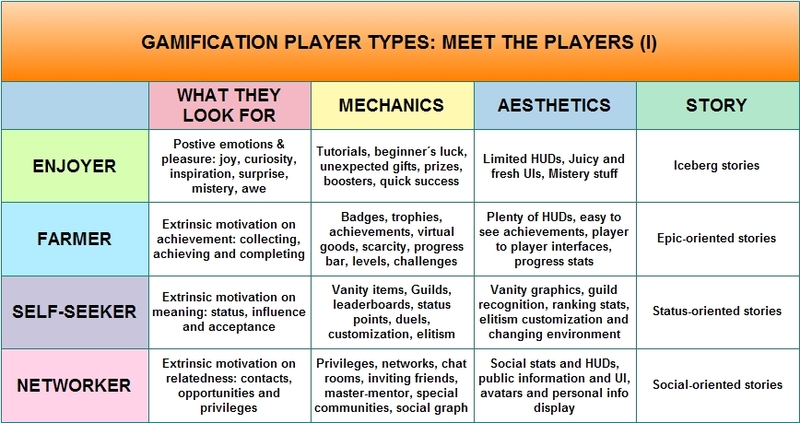 So are we done with Gamification Player Types? Not at all! This is just the beginning! Now it is about time to go outside there and iterate with them! Modify, improve and change it again!